Personal and professional development is very important for any person because, it enables individuals to improve their performance at work and skills. It also improves individual’s knowledge and this makes them more effective at work or school. It is important to prepare a personal and professional development plan by undertaking a SWOT analysis. An individual SWOT analysis will enable a person to identify his or her strengths, weaknesses, threats and opportunities that are available to purse (Davis, 2014). A personal and professional development plan is a process where individuals plan and maximise on their skills and knowledge to achieve the set goals and objectives. A PDP plan identifies the goals of a person’s and shows how the person will achieve the identified goals. Self –managed learning are very important because they improves the skills of a person and improves an individual efficiency and effectiveness at work. It is important for a person using self-managed learning approaches to first identify their motivation and should be able to evaluate and control all aspects that surrounds them or their lives (Bjork, Dunlosky and Kornell, 2013). The discussion below shows some approaches to self- managed learning. Attending conferences and seminars– There are several seminars and conferences that individuals can attend to improve their skills and knowledge. This seminars and conferences are hosted with highly qualified experts that have experience and knowledge in several fields. People that attend conferences and seminars come from different cultural backgrounds and they share and exchange ideas that improves individual’s perceptions and skills. As an individual i have attended several seminars and conferences that relate to my profession and this has improved my efficiency and effectiveness at work. Attending colleges and attending classes– people can improve their skills and knowledge by attending classes or college. This is by going to class to upgrade knowledge for example attending a master’s class or a PHD class. 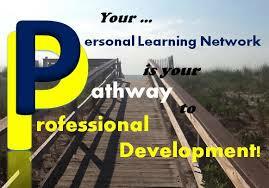 Other forms of self-managed learning are the use of online services. There are several articles that are written by several authors that have posted on the internet and people can use internet to learn more and to improve their skills and knowledge. Internet is available all over and therefore can be used by a person to learn and improve skills. Honey and Mumford learning styles tries to explain why people act in a certain manner due to their personalities. They include activist, theorist, pragmatist and reflectors where the activists are open minded and enjoy new experiments where they engage themselves fully without bias. Theorists adapt and integrate experiments through observations where they follow step by step in a logical way. Pragmatic are keen on trying out new ideas and developing opinions based on theories and techniques. Reflectors stand back to ponder experiments and observe them from many different perspectives. This is through collecting data and analyses to make conclusion and recommendations. It is important to identify the learning style that is effective to influence the attitude and behaviour of employees in an organisation to improve their performance. Kolb’s experiment theory is important where immediate or concrete experiments lead to observation and reflection enabling an individual to make decisions. He is able to experience, reflect, think and act accordingly therefore the assimilation are absorbed and translated into abstract concept to take an action. SWOT analysis – Undertaking a SWORT analysis will motivate individuals and enables persons to improve their skills and knowledge. A SWOT analysis will enable an individual to identify the strengths and knowledge of a person, it will enable an individual identify his or her weaknesses and threats as well as opportunities that exist in the environment. This will encourage a person to continue improving skills and maximising on his or her skills and knowledge. It will provide an opportunity for a person to identify threats that can affect their career and opportunities available to improve his or her skills and knowledge. Reflective learning– Reflective learning encourages long life learning because it provides an opportunity for individuals to improve their skills and knowledge. It is very important for persons to undertake a self-reflective learning because it will encourage lifelong learning and this will improve a person skill and knowledge throughout their lives. Importance to an individual– Self managed learning plays an important role to an individual because it improves the skills and knowledge of a person. It makes an individual more effective at work and improves the creativity of a person. It provides an opportunity to an individual to share and exchange ideas and this improves an individual profession. It provides an opportunity to an individual to identify their strengths and weakness and this ensures that he or she puts in place measures to improve their skills (Coman and Ronea, 2009). It provides an opportunity for an individual to monitor and control all aspects of his or her entire life. Importance of self-learning to organisations– Self managed learning is very beneficial to any organisations that operate in the business environment. It improves the performance of an organisation and that of its employees. It increases efficiency and effectiveness of organisation and increases the level of productivity in an organisation. It reduces the training costs and increases the competitive position of a company. It improves the skills and knowledge of individuals and improves the level of creativity in an organisation. It makes it easy for an organisation to achieve its set goals and objectives.